Previously known as Kimora Lee Simmons, Kimora Lee Leissner is an American model and fashion designer. She is currently married to her husband Tim Leissner, and it has been more than four years since she got married to her second husband. Born on 4th May 1975, the 42-year-old has been married twice and has also been in quite a few relationships. Her first marriage was with American producer, author, and entrepreneur Russell Simmons. And here we are going to share with you some information about her current marriage with husband Tim Leissner, her previous marriage, and affairs. Kimora Lee Leissner Marriage With Tim Leissner. Do They Have Any Children? Leissner is currently married to her husband Tim Leissner, a former senior Golden Sachs Group banker. They started dating in 2012, and she secretly got married to him in December of 2013. She never really spoken about the marriage and kept it a secret until she revealed that they had been married for a while in 2014. For many fans, this came as a shock as they never really expected her to get committed. After her first divorce, she dated a few men but never really settled on them except with Tim. It has been more than four years since they got married and more than six years since they started dating. Likewise, Kimora also has a child name Wolfe Lee Leissner with her current husband. He was born in April 2015 and is currently 3-years-old. 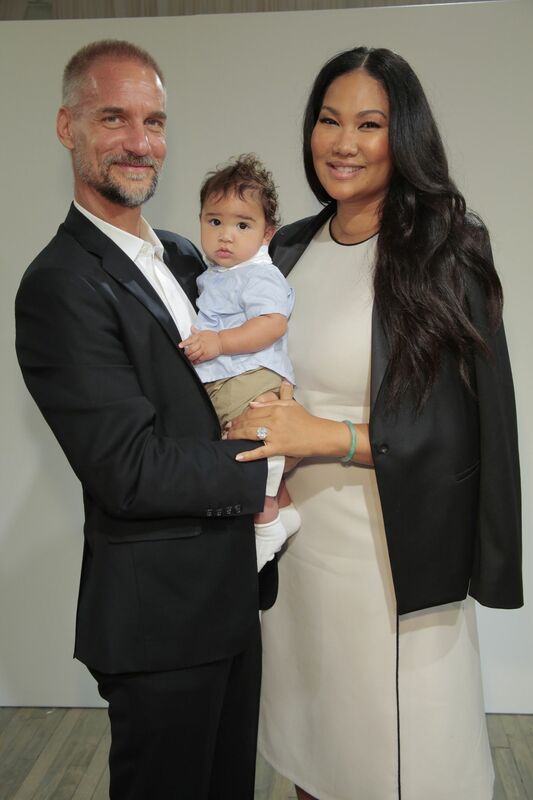 Kimora has always been very open about wanting to have more kids from her marriages, and it is safe to say that she will be announcing about her pregnancy in the near future. Last year in June of 2017, it was reported that the couple purchased a mansion worth $27.5 million in super exclusive Beverly Park. Sharing the neighborhood with Eddie Murphy, Denzel Washington and other celebrities, the villa cover 20,000 sq ft featuring home theater, wine cellar, swimming pool, tennis court and much more. We assume that the mother of four plans to have the house with more kids. 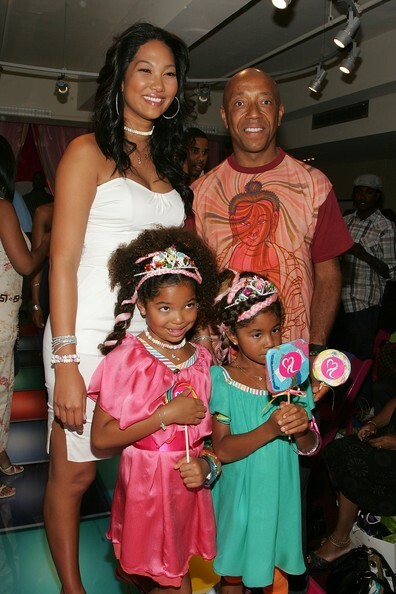 Kimora was previously married to American producer, author, and entrepreneur Russell Simmons. According to sources, they met back in November of 1992 at the New York City's Fashion Week. At the time, she was just 17 while Simmons was 35. However, age did not stop them from getting indulged as they started dating shortly after and got married just six months later on 20th December 1998. Their wedding took place in Caribbean island of St. Bart's. After just two years of getting married, the pair had their first child Ming Lee on 21st January 2000. The baby girl is currently 18-years-old. Likewise, two years after the birth of their first child, the couple welcomed their second child into the world on 16th August 2002. Her name is Aoki Lee, and she is currently 15-years-old. Their marriage seems to have gotten strained with time as the couple separated in March 2006 followed by her filing for divorce in March 2008, two years after they separated. Their divorce was finalized in January of 2009. After her divorce with her first husband, she dated quite a few men but her most known relationship was with American rapper Birdman. The pair started dating in May of 1999, just months after she got married to her first husband. According to sources, they dated for more than 14 years until they called it quits in February of 2014. Another one of her infamous relationships was with Beninese Actor Djimon Hounsou. Even though they never got married, they participated in a Cenin commitment ceremony in summer of 2008. They also have a child together named Kenzo Lee. He was born on 30th May 2009 and is currently 8-years-old. She was together with the actor for almost 6 years until they shared the news of their break up in November of 2012. Moreover, back in 2001, she is also reported to have had an encounter with American music producer Kendu Isaacs. Turkish actress Hazal Kaya and Ali Atay still girlfriend and boyfriend or are they already married?